The softshell clam resource belongs to the people of the State of Maine. The Department of Marine Resources must ensure that municipalities assuming the responsibility of managing shellfish resources do so in a manner consistent with the state's goal of balancing use of the resource and conservation. Towns manage their shellfish resources to the lower tide line (except for intertidal mussel harvest permits), by adopting and enforcing a town shellfish conservation ordinance. The Area Biologists are responsible for helping municipalities with resource assessment and management of their shellfish ordinances. The Shellfish Program Coordinator manages the Muncipal Shellfish warden eligibility and training program. Denis-Marc Nault (Program Supervisor) His cell phone number is 207-592-0512 and his office number is 207-667-6790. Pete Thayer (Pete's area map) His cell phone number is 207-592-9384 and his office number is 207-633-9539. 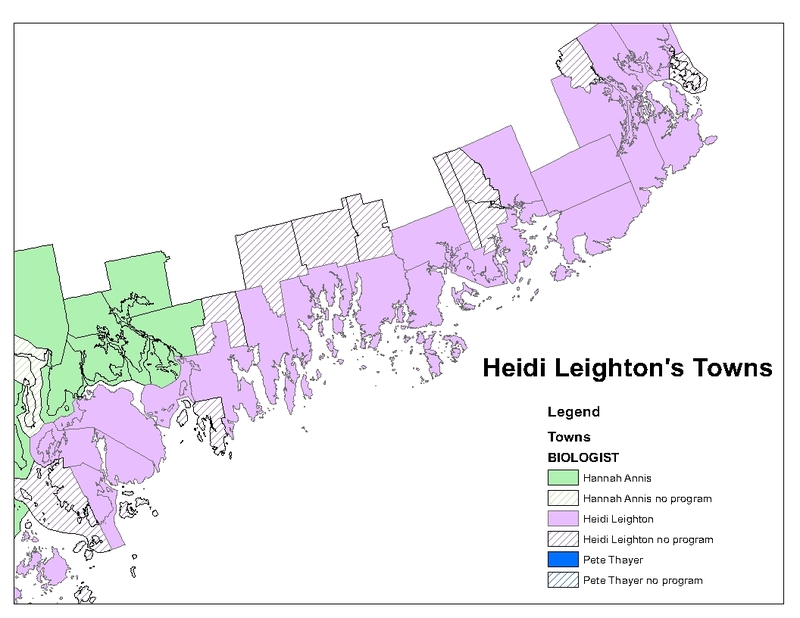 Heidi Leighton (Heidi's area map) Her cell phone number is 207-350-6995 and her office number is 207-434-5922. 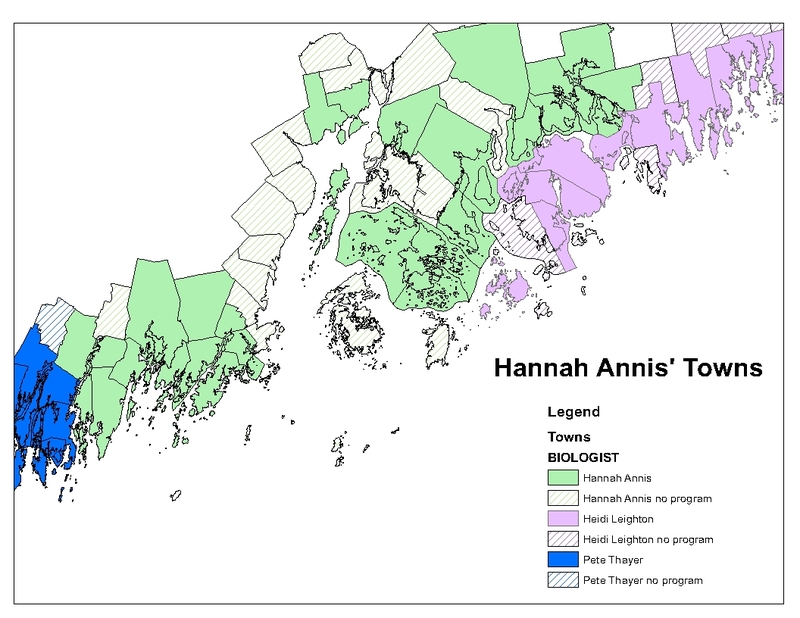 This link contains town Conservation Closure permits, Transplant permits, Shellfish Ordinances, Intertidal Management Plans, and coordinating maps. Up-to-date closure information is also available on the Maine Red Tide and Shellfish Sanitation Hotline page or by calling 1-800-232-4733 or 207-624-7727. The municipal shellfish program is governed by DMR Regulations Chapters 4 and 7, as well as in statute: Title 12, �6671: Municipal shellfish conservation programs. Some of the links are PDF files, and may require the free Adobe Reader software (download here). If you require an alternate format, please contact Sheena Glover.